Having trouble finding the Documents folder of the app you’re writing, then look no further. Using the xcrun simctl command it’s easy to find the directory in the currently booted iOS Simulator. If we look inside this folder we will find the Documents folder of the supplied app identifier. There are many other things that xcrun simctl can do, such as creating and deleting Simulators, installing apps and photos plus much more. Great if you’re using a CI server and want to have a clean environment between runs. At Unruly the developers have a passion for learning new things. We have many ways of accommodating these passions, including Gold Cards (which is our version of 20% time), fortnightly Tech Talks (5-10 minute lightning talks) and Dojos (hour long sessions on a given topic). Developers can propose to run a single Dojo, or a series of Dojos, on a topic of their choosing. This allows anyone that’s interested an opportunity to learn something new or try a technology that another team is using. We usually run a Dojo session every Wednesday at 12:00 during work time, which lasts for one hour. I really wanted to learn more about how CPUs worked so I proposed to run a series of Dojos on writing a very simple CPU emulator. I realised that the CPU should be very simple so we could all grasp what was going on and write some code within the hour. 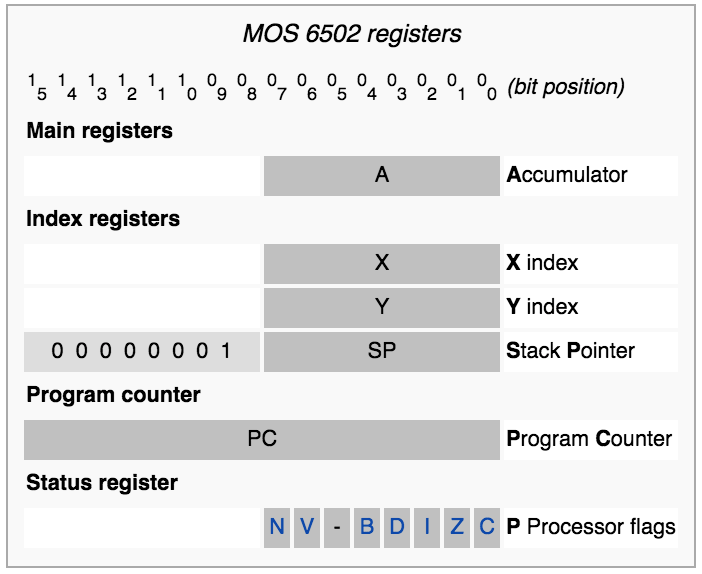 That ruled out modern CPUs, even 8bit ones, as they have lots of registers and opcodes. The main reason I wanted to run the Dojo was to encourage myself to learn more about how CPUs worked and I thought others would find it interesting too. For that reason I’m pretty sure there are a few things which are incorrect, but in the end it’s not that important as the goal was a learning experiment and to provide an outline of how a CPU worked. We were never going to build a real 6502 CPU emulator in a few hour long sessions so I came up with a cut down set of specs to work towards. The fun part of running a Dojo is that everyone starts off together writing code against the same problem and as this was an abstract problem people were free to choose whatever programming language they wanted to use. After the first session many people threw away their code and re-wrote it using TDD. In the first Dojo we start by building an extremely simple CPU with a couple of registers, three opcode instructions and a 16 item size of memory. I’m using the term item as we aren’t restricting the memory to be byte sized at the moment. This is a great introduction to how programs are stored in memory, where values required by the opcode instruction sit in sequence order after the opcode instruction. In this Dojo we add more registers, some more opcodes for incrementing and decrementing register values and start delving into the exciting world of branching. I wrote a simple program which used a couple of registers and added branching to allow a section of code to be executed a number of times before continuing on with the rest of the program. In the same vain as machines like the Commodore 64 we reserve a certain area of memory to be treated as video memory. Well in this Dojo I just wanted people to read back the values of that memory location as ASCII and tell me the song lyrics that were there. Let’s make it easier to write more complicated applications. In this Dojo I introduce subroutines which allow us to write reusable functions. To support subroutines we need to add a new register, the stack pointer, which will point to a memory address of where the current stack head is. By adding a stack to the CPU we can push the current program counter onto it when executing a subroutine and to pop it off again to jump back to where we left off. To simplify things I suggested that we reserve the last x items of memory to be reserved for the stack. I then rewrote the previous song lyric application using subroutines to see if people could get it to run on their updated CPU. As we started to flesh out our CPU I thought it would be nice to be able to write code in a more human readable format, so in this Dojo we set out to write a simple assembler. I then rewrote the song lyric application again but this time in our assembly language (modelled on the 6502 assembly language) and gave it to the developers to compile into machine code and then execute on their CPU. It included many subroutines and nested subroutine calls to ensure things weren’t that easy. loop:        ; label named "loop"
BNE loop   ; branch if not equal, change the program counter to point to the label "loop"
getting people to write their CPU’s again, or update them, to be real 8bit CPUs. That means when adding up two large bytes like 200 and 150 you will need to store the result in two memory addresses (16 bits) and in little endian order. This would also mean that we’d need to start thinking about having more opcodes for the same instruction, one for reading/writing 8bit numbers from memory and one for 16bit. There would also be a need to think about signed and unsigned numbers. Easy 6502 - excellent 6502 assembly introduction with emulators embedded directly in the tutorial which have the ability to step through each assembled instruction in the program and inspect the registers and memory. Visual 6502 - Want to see all of the transistors and paths taken for every opcode overlaid on a photo of a real 6502 while a program is running, then look no further! I hope that has wet your appetite to learn more about CPUs and perhaps run a Dojo within your team. My goal was to create a simple RequireJS module which requires the ES6 transpiled module as a dependency. The ES6 module uses some of the new ES6 language features, class, static, const and the simpler method definition. The module will export a class called Hello with a static function render() to add an H1 to the page. This will the be transpiled to a file named say-hello-es6.js. The ES5 RequireJS module imports the ES6 transpiled module and calls the static function from the exported class via helloES6Module.Hello.render(). Our project uses Grunt to build the codebase and again it was easy to integrate the transpiling of ES6 code into the build process. The Grunt plugin grunt-6to5 makes it as simple as adding the following to the grunt.initConfig. To transpile the ES6 module into an AMD module suitable for RequireJS set the modules option to 'amd'. We use Mocha, Sinon and Chai for testing. Our unit tests are run either on the command line with node via PhantomJS or directly in a browser. It’s time for me to contribute some helpful snippets of code back to the community.